Aratakara love football. 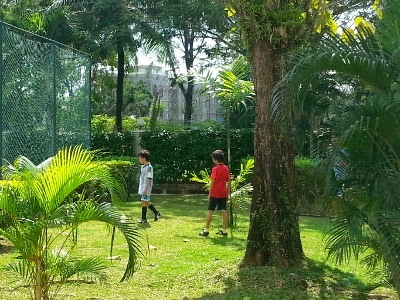 Lots of kids play football during breaks at SCIPS or PJS. There is a training run by volunteer fathers from PJS but Arata doesn't want to join. He said he was too shy. But he wants to be better. Currently, he has a training with a secondary school friend once a week.